Transylvania at the turn of the Millennium is an island of waterwheels and horse-carts facing erosion by the incoming tide of a modernizing European Union. During this pivotal time, in a remote valley of northern Romania called Maramures, peasants have kept their traditions alive and defied assimilation since the Romans. Now, a final generation is going about their daily farming chores and raising children who have the opportunity to leave their ancestral villages and make a modern life in a world of change. For over two years, Kathleen Laraia McLaughlin and her husband H. Woods lived as peasants do—relying on a wood burning stove, bathing without running water, and sharing one roof with three generations. 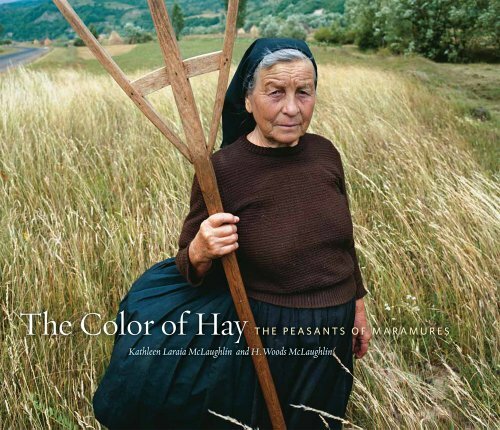 Kathleen’s medium format photographs cover all four seasons of life in Maramures. Essays from H. Woods help add depth and explanation.